Synthetic peptide conjugated to KLH derived from within residues 450 to the C-terminus of Human SMYD1. 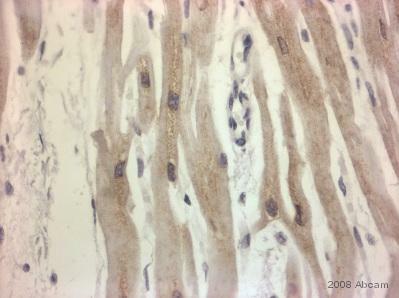 This antibody gave a positive result in the following lysates: Skeletal Muscle (Human) Tissue Lysate - adult normal tissue. 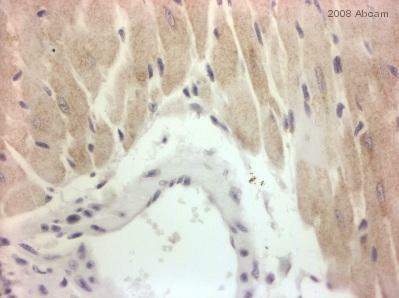 Testis (Human) Tissue Lysate - adult normal tissue. Our Abpromise guarantee covers the use of ab32482 in the following tested applications. WB Use a concentration of 1 µg/ml. Detects a band of approximately 56 kDa (predicted molecular weight: 56 kDa). Acts as a transcriptional repressor. Essential for cardiomyocyte differentiation and cardiac morphogenesis. ab32482 has not yet been referenced specifically in any publications. Publishing research using ab32482? Please let us know so that we can cite the reference in this datasheet. 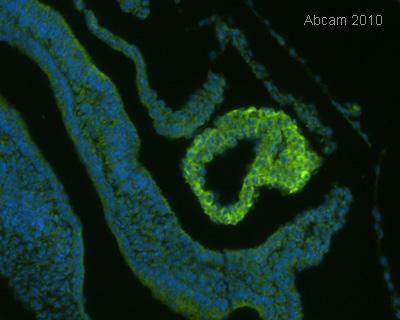 We are searching for the Abcam AMYD1 antibody used in PubMed ID 21852524 for zebrafish IHC, J Cell Sci. 2011 Sep 15;124(Pt 18):3127-36. Epub 2011 Aug 18. Thank you for your interest in our SMYD1 antibodies, and for bringing the zebrafish article to our attention. Unfortunately, I do not see an order from any of the instituions listed in the author affilitaions section. We also have not removed any SMYD1 antibodies from our catalogue, so it must have been one of those three. My first guess was that they used ab32482, the antibody that includes some IHC data from one of our collaborators in the reviews section of the datasheet. But the immunogen has little homology with Danio Smyd1a or Smyd1b. http://www.uniprot.org/uniprot/Q2MJQ9 http://www.uniprot.org/uniprot/Q2MJQ8 The immunogen for antibody ab34472, on the other hand, has 72% identity with each. I am not sure which of these to recommend but ab34472 is more likely to cross-react. I am getting alignment results for the third, ab49327, and will send the results when I recieve them.